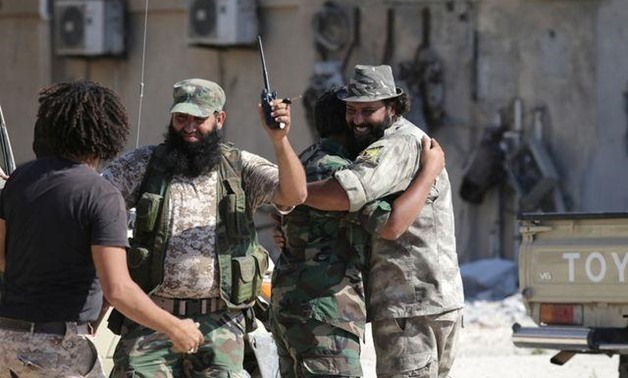 Libyan forces aligned with eastern army commander Khalifar Haftar have arrested 11 Tunisian fighters as they managed to conquer the city of Derna. Haftar’s forces have launched a ground offensive against Derna Protection Force (DPF), a coalition of local fighters and Islamist combatants. Haftar’s Libyan National Army (LNA) views the DPF as an Islamist grouping having ties with al Qaeda as well as foreign fighters. Dozens of foreign fighters have been arrested, including, besides the 11 Tunisians, 19 Egyptians. A UN taskforce in a report published in 2015 indicated that around 5,000 Tunisians had left their country to join ranks of terror groups in hot bed conflicts, namely Syria, Iraq and Libya. Tunisia is bracing up for the return of those fighters after the defeat of the Islamic State group (ISIS) in Iraq and Libya. Three terror attacks, the worst in the country’s history, killed 71 people mostly foreign tourists, in 2015. The attacks were carried out by ISIS-trained Tunisians. Authorities claimed they were trained in ISIS camps in Libya. Posted by KanelkaTagba on Jun 12 2018. Filed under Headlines, World News. You can follow any responses to this entry through the RSS 2.0. Both comments and pings are currently closed.